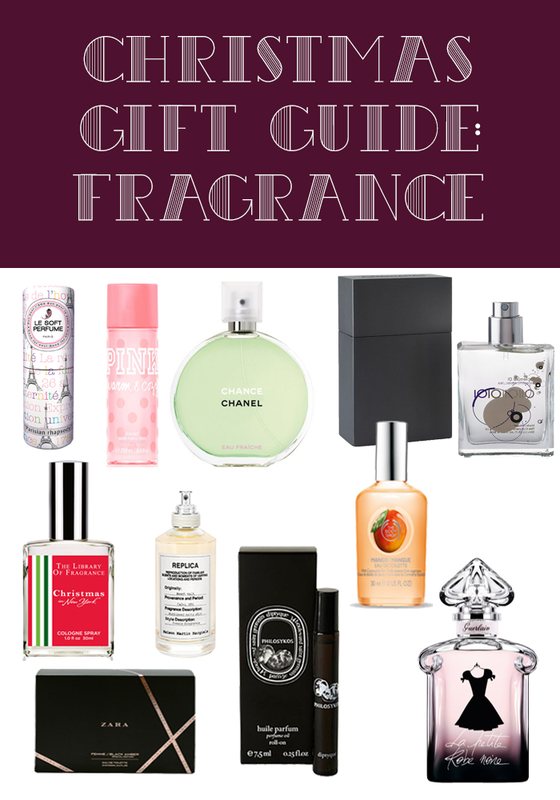 We're now over halfway through our gift guides and now it's time for fragrance, because lets face it, everyone loves receiving a new bottle of perfume at Christmas time! Here's our recommendations. If you're in need of stocking filler ideas, these cute little mini perfumes from the Body Shop are perfect. They're great for carrying around in your handbag and they won't set you back a fortune. Personally, the mango scent is a favourite. Although this is technically a mist, it has more staying power and scent payoff than a lot of perfumes. I am addicted to these sprays they are perfect for work or days where you don't want the heaviness of a perfume but still want a scent. They last forever too and come is such cute packaging and scent combinations. Normally high street fashion brands that bring out fragrances tend to be disappointing but this was a surprisingly good find. Two perfumes for £12.99, you really can't argue with that. These perfumes are just so much fun! You can choose whether you want to be playful, kind or downright cruel and get someone a really outrageous scent. This one is a really true Christmas fragrance that would be hard not to love. For those who aren't a fan of carrying around bulky glass bottles, these solid perfumes are wonderful. The mango butter based fragrances leave the skin feeling really soft and moisturised while delivering a beautiful scent. Parisian Rhapsody stands out as a favourite with notes of jasmine, vanilla and musk. All beauty addicts know that Diptyque are pretty much one of the fragrance masters and this is the perfect way to inject a little luxury into someone's stocking this Christmas. This beautiful fig scent is probably one of the most famous scents from the brand and the handy roller-ball makes this perfect for travelling. The perfume that smells different on everyone and works with your natural pheromones. It's easy to pick up the latest best selling fragrance out there as a gift but there's something a little more special in owning a fragrance that's unique to you. I fell in love with this scent the moment I tried it. La Petite Robe Noir (little black dress in English) is a beautiful sweet fragrance with notes of black cherry, rose and patchouli. If your gift recipient is a fan of Lancome La Vie est Belle they'll be sure to love this too. Who doesn't want to receive Chanel at Christmas? Chance eau Fraiche is a really young, fresh and uplifting take on the classic Chance fragrance. The simple bottle design is super chic and this scent lingers for days. This is one of my all time favourite scents, and I've yet to come across someone who doesn't love this. The fragrance smells exactly like a beach walk, fresh, tropical and salty. It's such a grown up warm scent that smells like nothing I've ever tried. This is a really special fragrance that would make the perfect Christmas gift for someone who likes more unusual scents. We hope that you're enjoying our Christmas gift guides this year. Tune in tomorrow for all things fashion.